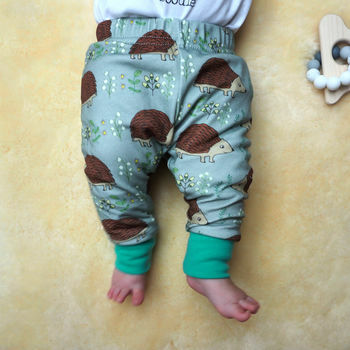 Beautiful organic unisex baby leggings featuring a repeat pattern of hedgehogs and foliage. 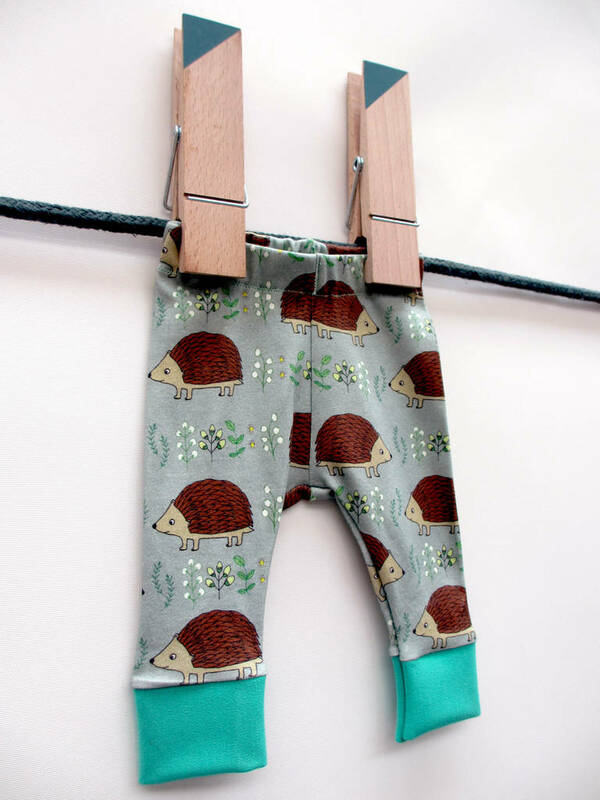 Organic hedgehog baby leggings. A repeat pattern of hedgehogs, leaves and foliage, digitally printed onto organic cotton with bright green stretchy cuffs and an elasticated waist band. 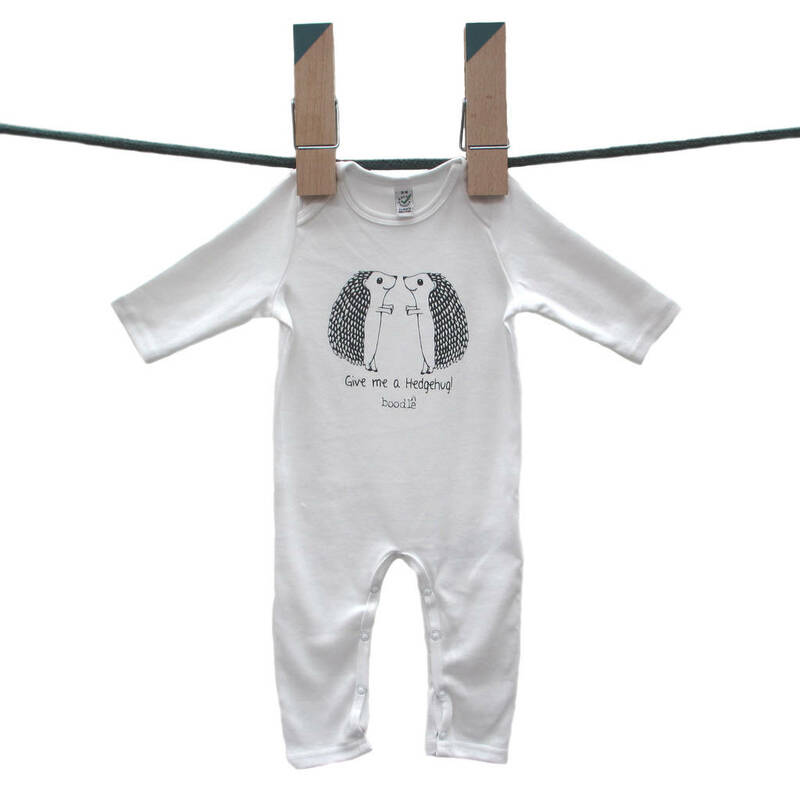 Hand made in Cornwall, UK. 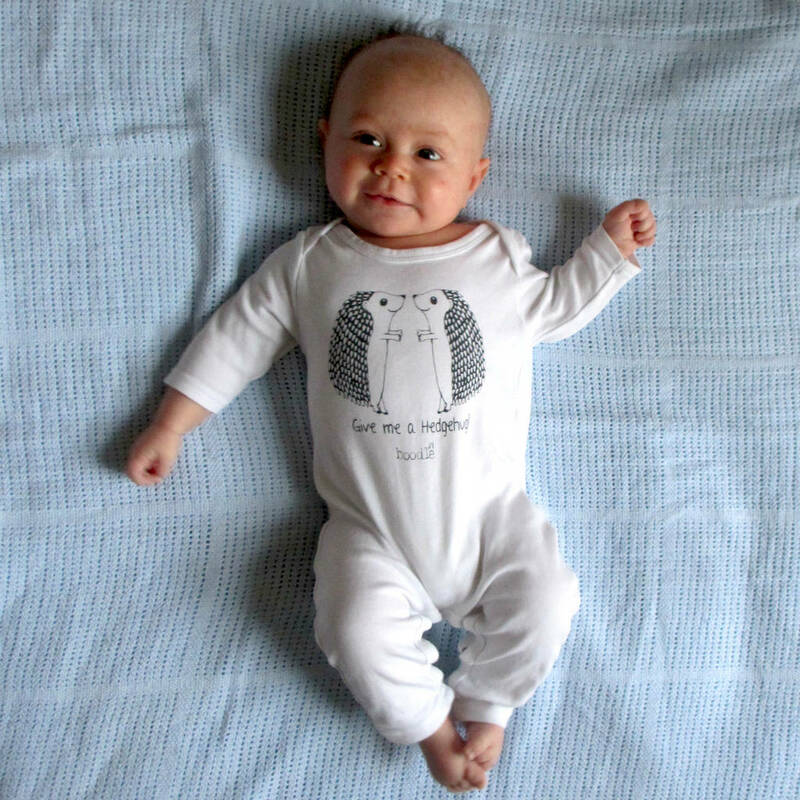 This is a perfect unisex gift for a baby, comfortable, super soft and can be paired up with a lovely 'I want a hedgehug' baby grow! 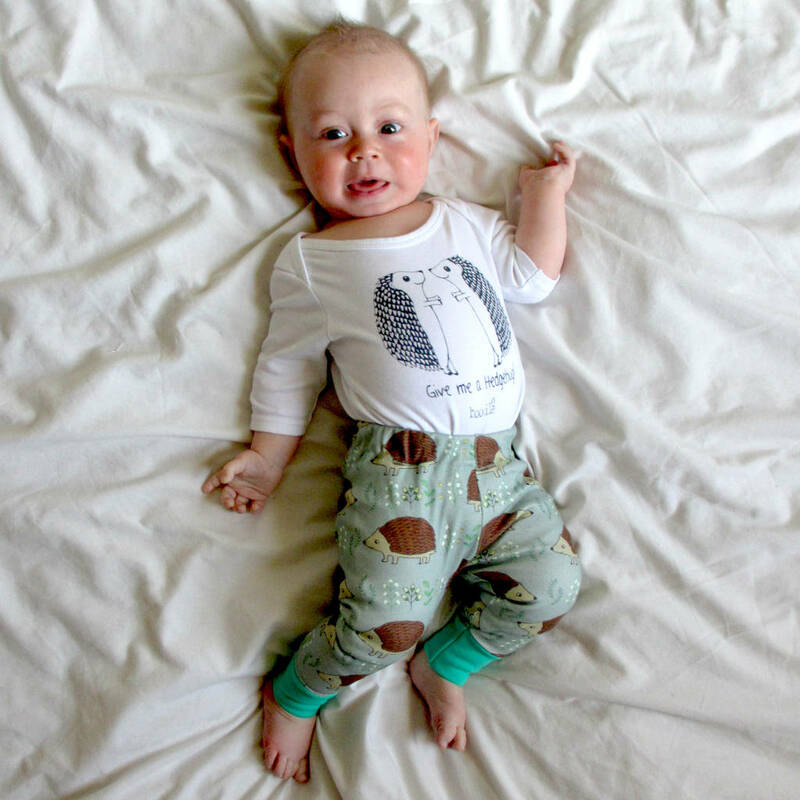 You can add this baby grow (as shown in the photos) as an option on the ordering page, for only another £12 you can get the set (usually £18). 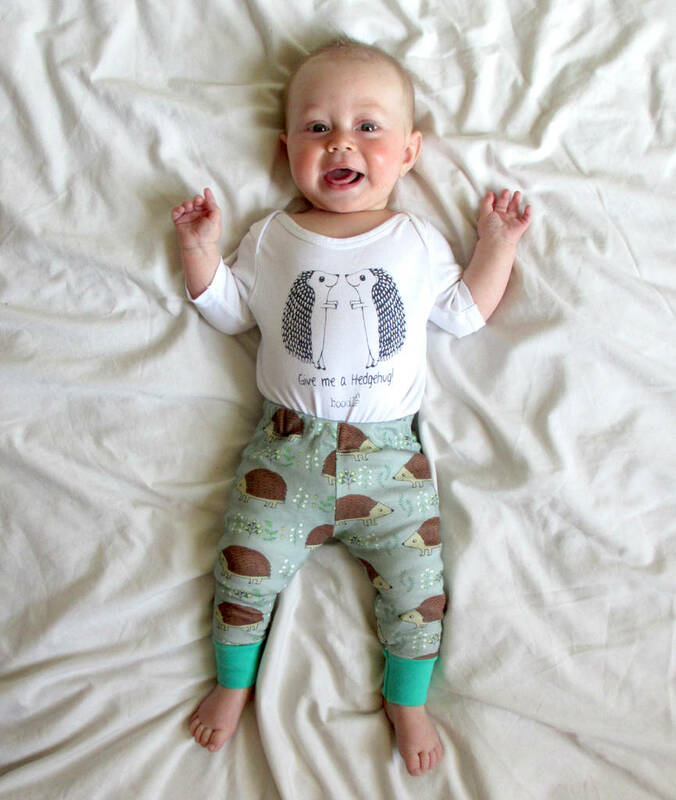 I design the repeat pattern myself, making these leggings extra unique as this design can not be found anywhere else. 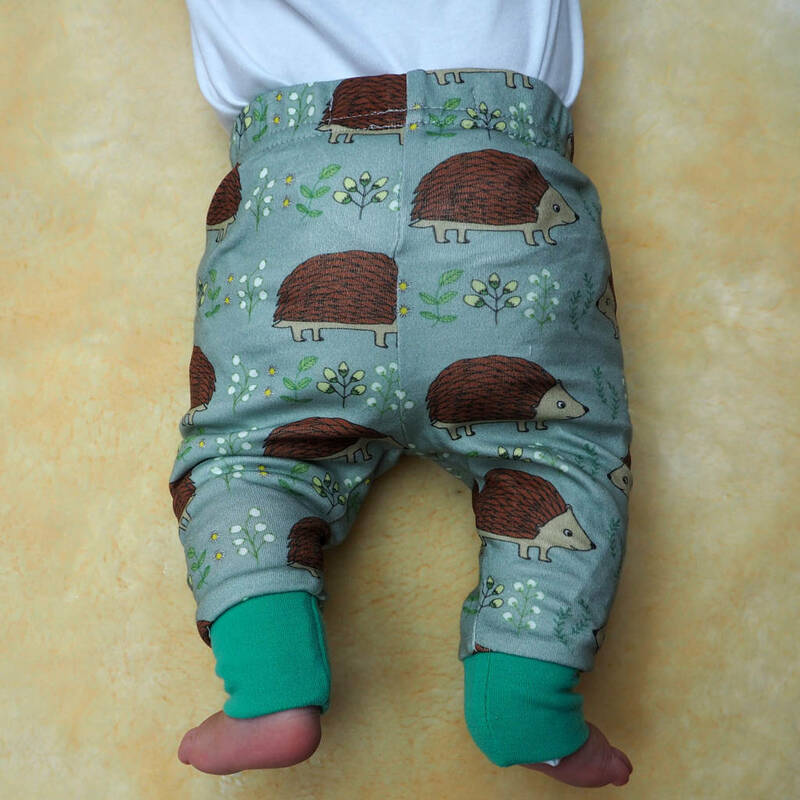 The hedgehog design is exclusive to these leggings.